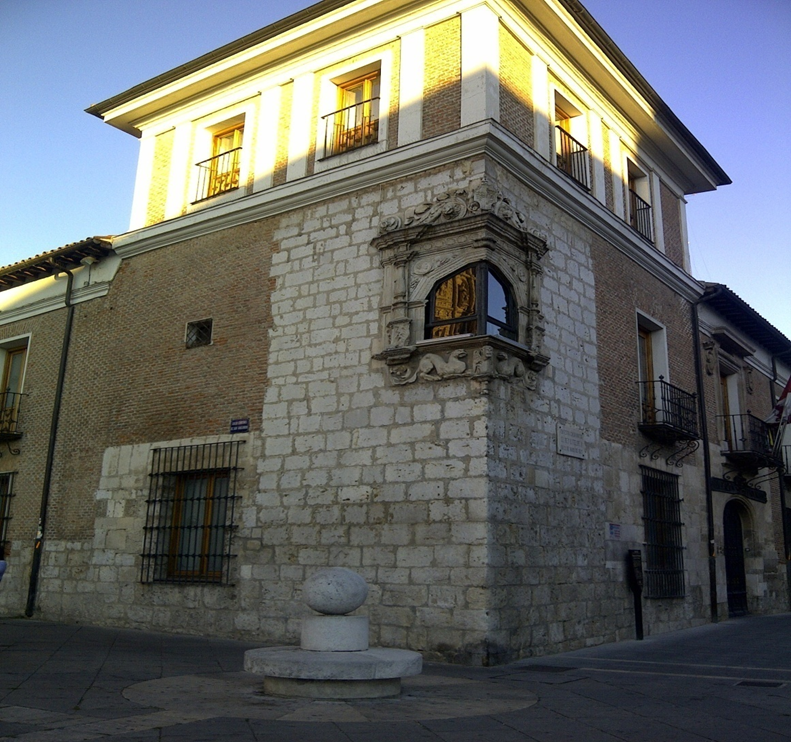 I am currently in Spain on a six-month Leverhulme Study Abroad Fellowship, where I am organizing an international workshop on the theme ´Networks of Exchange: Exile Communities in Early Modern Europe´. I am based in Valladolid, which for a short time (1601-6) was the capital of Spain, and in June 1605 it was here that the peace signed with James I at Somerset House the previous year was ratified in the presence of King Philip III. The English delegation was led by the Lord Admiral, 1st Earl of Nottingham, for whom royal and civic entertainments and ceremonies were devised. The first picture shows San Pablo´s Cathedral: it was here on 29 May 1605 that Philip III´s son (the future Phillip IV) was christened. Nottingham watched the procession from a window that can just be seen in the picture, top right. A close up (second picture) shows the window in detail. The house from which Nottingham watched was where Philip II (who married Queen Mary I of England in 1554) had been born on 21 May 1527. Once the procession had entered the cathedral, the narrative accounts tell us, Nottingham was escorted privately via a side entrance, from where he watched the ceremony. For the duration of the English embassy´s visit Valladolid became in effect a theatre of diplomatic performance and ceremonial. 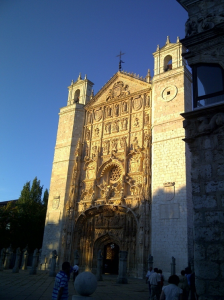 Opposite the entrance to San Pablo stood the king´s palace, to the left of which was a connecting passageway linking the palace to a newly-constructed Banqueting Hall, where a specially-devised masque would conclude the peace treaty ceremonies. This open space created and defined by these key buildings formed a natural theatre in and through which the peace could be publically as well as privately commemorated. My research into this ´performance´ of the Anglo-Spanish peace is part of an ongoing series of projects co-authored with Berta Cano Echevarría of the Universidad de Valladolid. Closer to home, I am also working on a study of the role of the interval in the English indoor theatre (and a conference at Reading is being planned for 2014). I gave a paper, ´Between the Acts: the Interval and Indoor Playing´, at the SEDERI (Spanish and Portuguese Society of English Renaissance Studies) annual conference in Seville on 15th March. This entry was posted in Department of English Literature news and events and tagged Department of English, Department of English at University of Reading, Dr Mark Hutchings, English Literature, Reading, University of Reading. Bookmark the permalink.